Treat yourself to scary good fun. Good news! It’s officially October. Complete justification for grabbing a few bags of the Halloween candy that’s been on display since August. And after you’ve acquired your sweet stash—which, no doubt, will go untouched until the 31st—use our suggestions below to plan an entire month of monstrously good fun. Venture to places like the Denver Zoo or stay close to home; BackCountry and the south Metro area offer plenty to enjoy this time of year. 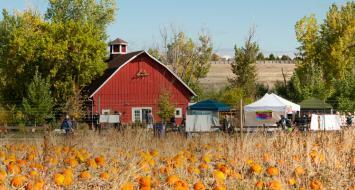 Selecting the perfect future jack-o’-lantern from a 10-acre pumpkin patch is one of many activities to enjoy at the annual Pumpkin Festival at Chatfield Farms. (If you don’t know, Chatfield Farms is the Denver Botanic Gardens’ 75-acre native plant refuge and working farm, not far from BackCountry.) Make a day of it with hay rides, face painting, games, antique tractor exhibits, arts and crafts booths, food, live music, and more. Get lost in the corn maze next door for an extra fee. Complimentary daycare for little pumpkins. Ticket prices range from free (2 and under) to $8. Learn more. Behind BackCountry lies 8,200 acres of wilderness—and one unforgettable evening marked by bloodcurdling fun. If you’re feeling brave enough for a bit of a Blair Witch-style experience, visit the Haunted Forest after dark, where anything could be lurking in the shadows. But first, gather your courage with food trucks, an outdoor movie, live animals, and more. Tickets are for specific hour-long time slots and cost $13 per person. Recommended ages 10+; parental discretion advised. Learn more. 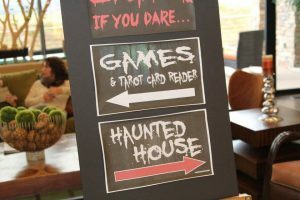 Residents: Take the terror indoors at the 2nd Annual BackCountry Haunted House held at the community’s award-winning gathering place, the Sundial House. This year’s theme is “Walking Dead,” so prepare to be scared—and then to recover with games, prizes, and fortune-telling. From 5pm-7pm, the haunted house will accommodate kids ages 3-9, but from 7pm-9pm, it will become an appropriate fright-fest for tweens, teens, and adults. Please bring an unwrapped toy or cash donation for CASA, advocates for children. RSVP at BackCountryLife.org. Learn more. For two weekends, the Denver Zoo gets (just a tad) spooky, offering 20 trick-or-treat stations, creepy crawly animal demonstrations, and oodles of family-friendly entertainment. Come in costume and enjoy not only the Halloween festivities, but visits with the zoo’s 4,000+ animals and ogle at the countless towering trees in their finest autumn glory. All activities are included in the price of admission ($12-17; free for ages 2 and under). Learn more. Another perk of a gated community: worry-free trick-or-treating for your kids. At BackCountry, roving bands of candy-seekers—and givers—relax knowing that only residents are part of the transaction. 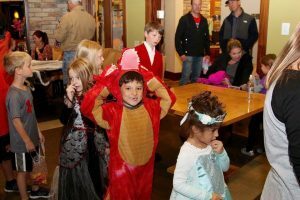 Beyond that, friendly neighbors provide “hot spots” for trick-or-treaters and their parents to stop and enjoy a hot drink and/or snack, plus a little chit-chat. The HOA is looking for one volunteer on each block to open their garage and provide light refreshments. It’s a sweet way to get to know your neighbors and assess the season’s most popular costumes (will it be Pokémon? Ghostbusters?). If interested in hosting, please contact Christa Dellebovi at cdellebovi@ccmcnet.com by Friday, October 21st.